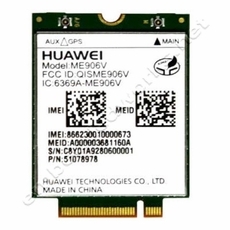 The ME906V is a LTE module with NGFF interface, supports 700Mhz (USA) LTE (FDD) B1/B2/B4/B5/B8/B13/B17, Penta-band DC-HSPA+/HSPA+/HSPA/WCDMA, Dual-band CDMA/EVDO BC0/BC1 for North American network coverage. 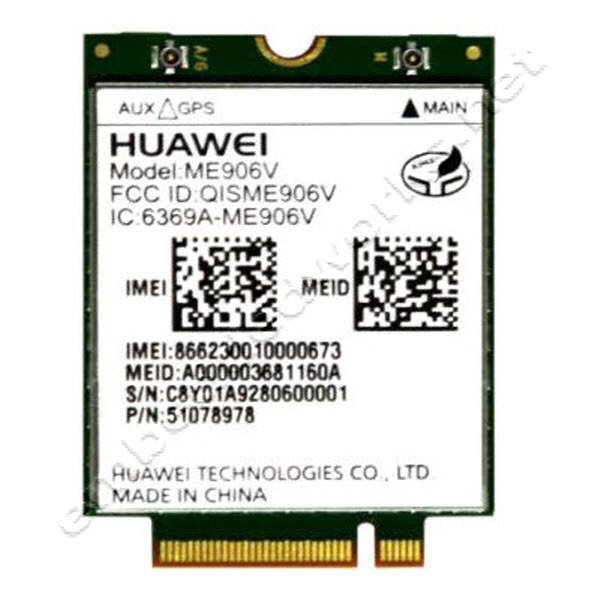 It has low power consumption, support for Global Navigation Satellite System (GNSS, GLONASS) and North American carrier certifications. Certified for AT+T and Verizon 4G LTE bands. Carrier Approvals Certified on Verizon and AT+T Network.